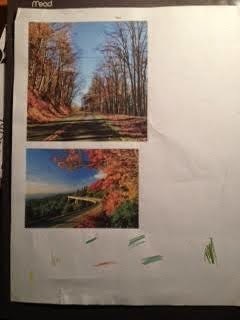 These were my reference pictures that I used to create my compositional sketches. I took the bottom picture on the page to the left and the top picture on the page to the right. These are my compositional sketches. 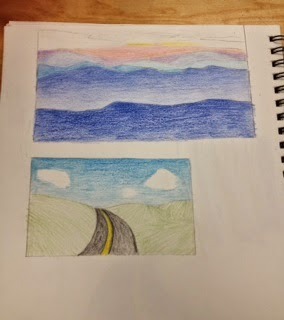 On the left page the top drawing is of mountains that fade into the distance with a sunset and the bottom is a road that disappears into the distance. The sketch on the right page is a compostional sketch and a final sketch but I just didn't finsih coloring it. This is my final copy. The blue of the sky didn't show up very well in the back! How did you use your own unique ideas in your work? I tried to make the grass give the illusion of a hill and unlevel ground on the side of the road by changing the direction the grass pionted and grew. Did you use a source for inspiration, then combine it with your own ideas to make it original? 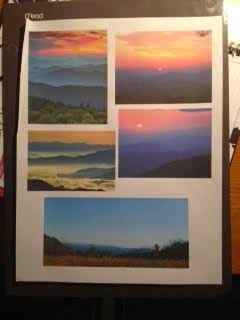 I used a picture that I took myself when I was on vacation in the mountains for my inspiration. I changed some aspects like I didn't draw any leaves instead I left the trees bare and the ground just as grass. Did you try something that you weren’t sure about as part of this project? 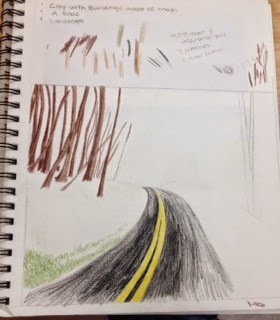 Yes, I chose to draw a road in perspective instead of something with straight lines. 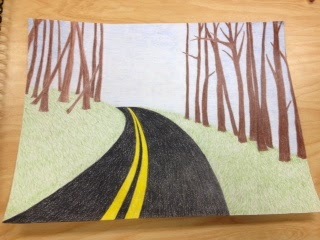 I wasn't sure if I could make the road look like it disappeared in the distance but I think it turned out pretty well. Did you pick a material or technique that was new or different over something that was familiar? Yes I picked putting things in perspective that weren't straight lines. The whole landscape had to look in perspective. When did you step back and analyze you work during this project? I analyzed it throughout the process of making it. 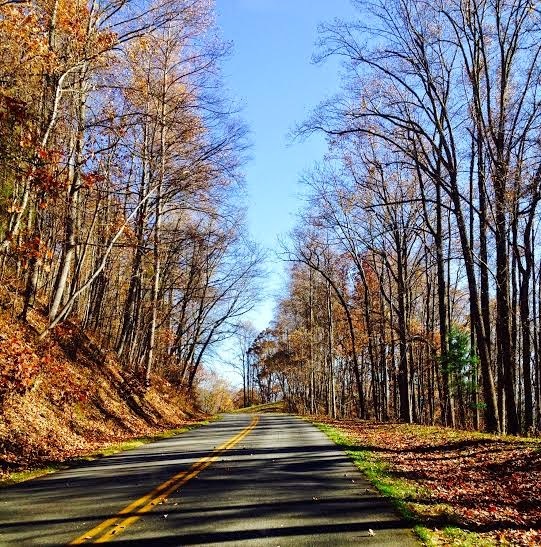 After each part I did like the grass or road I would step back and look at what I needed to fix and improve on. Did you consider how ideas would work before you tried them? Yes I did consider my ideas before I tried them but they did'nt always turn out how I planned. Like I wish I would've just shaded with pencil instead of using colored pencil because it doesnt look as detailed as I wanted it to look.